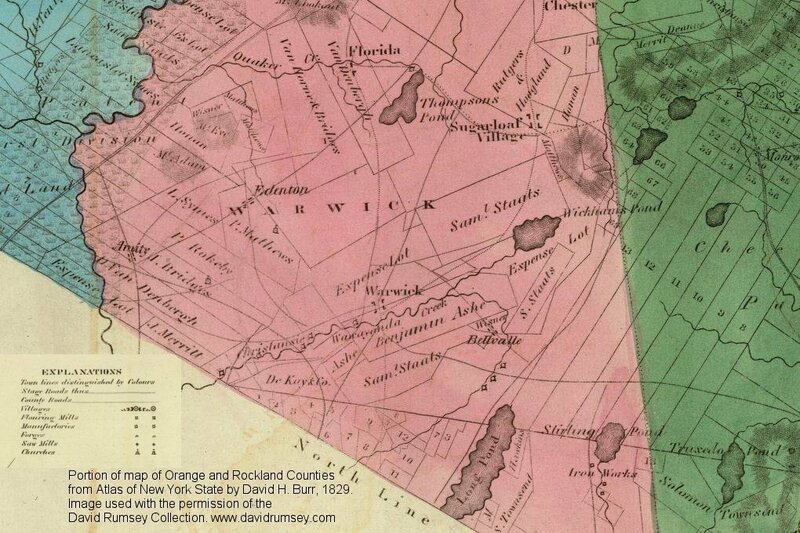 Revolutionary War Era by Governr. 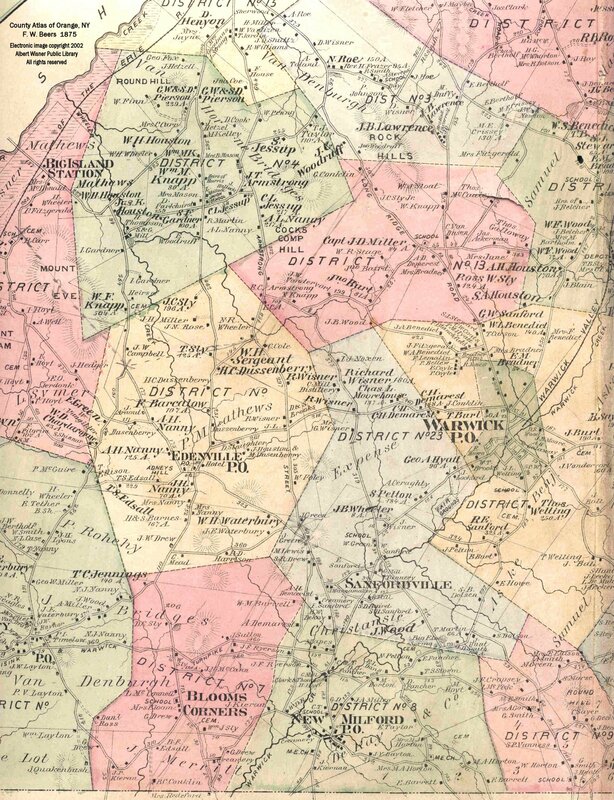 Pownall, M.P. 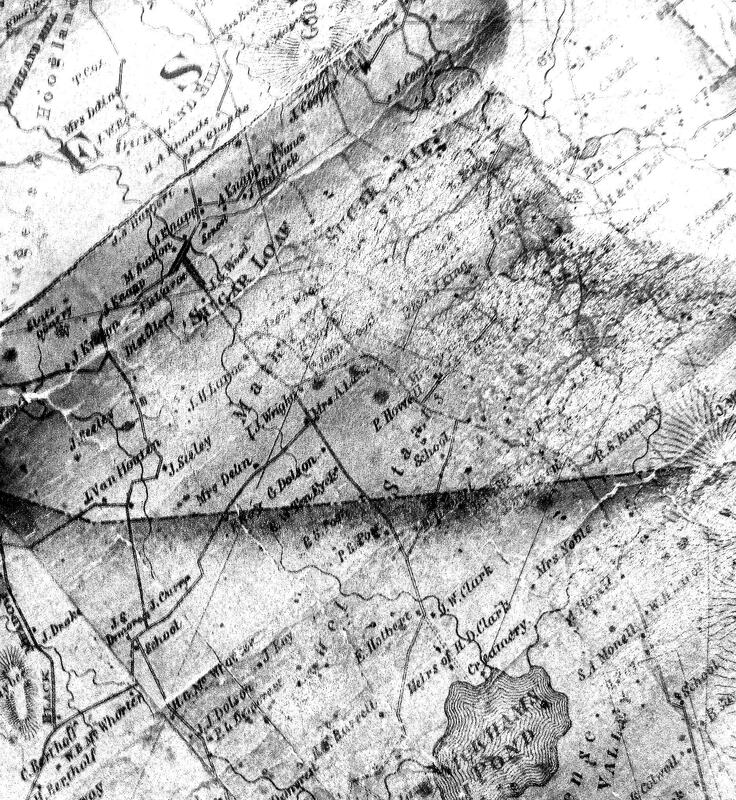 We apologize for the lack of clarity, map is damaged. 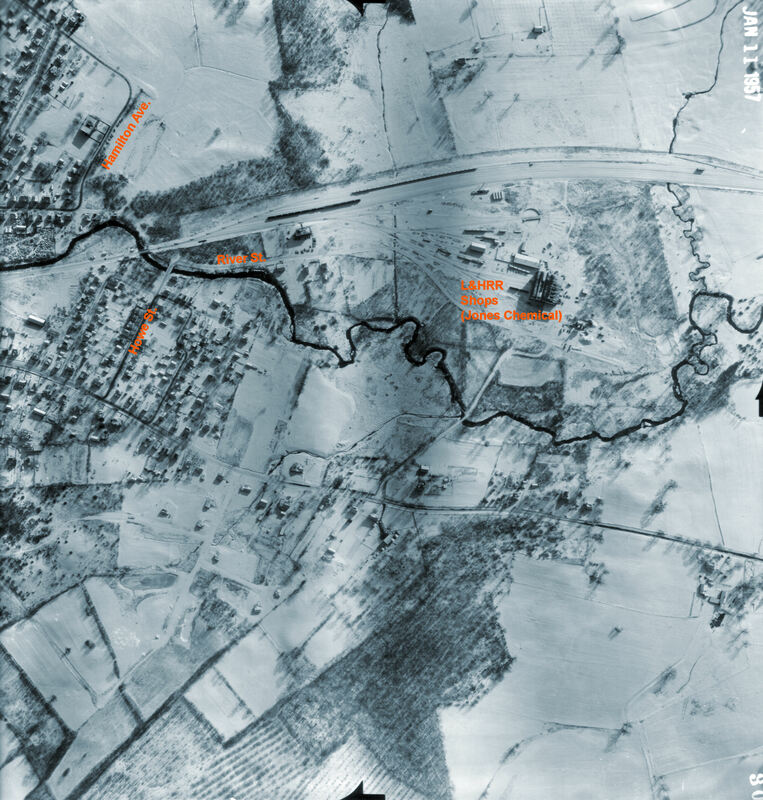 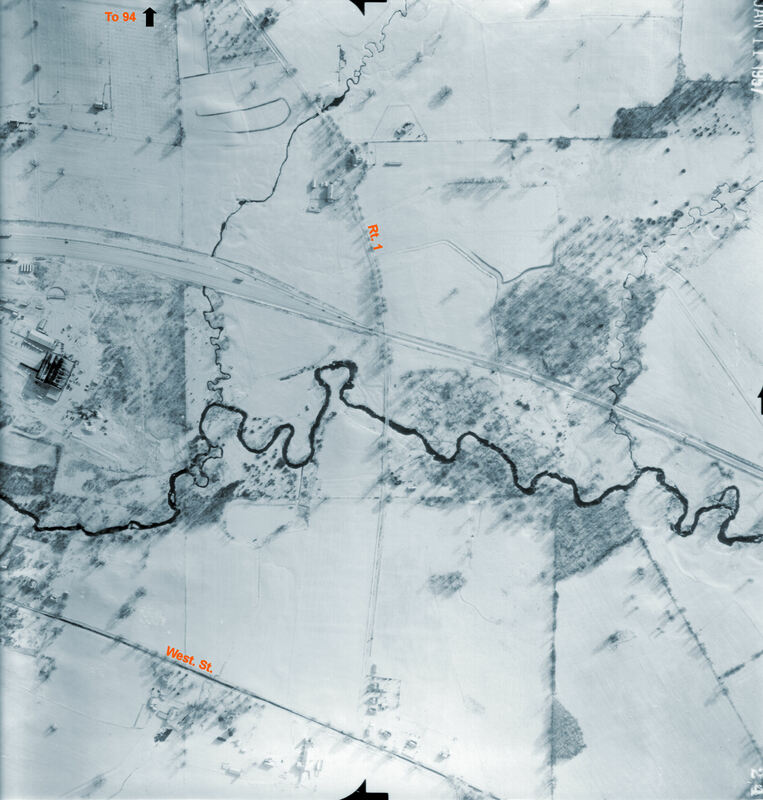 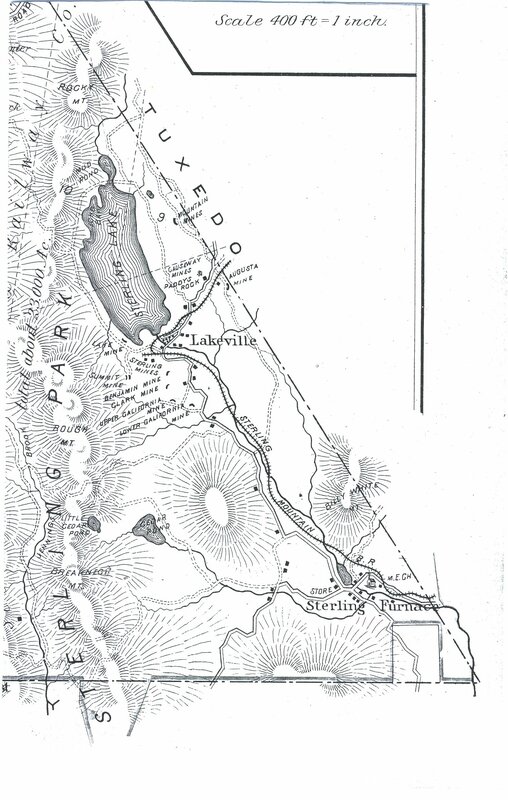 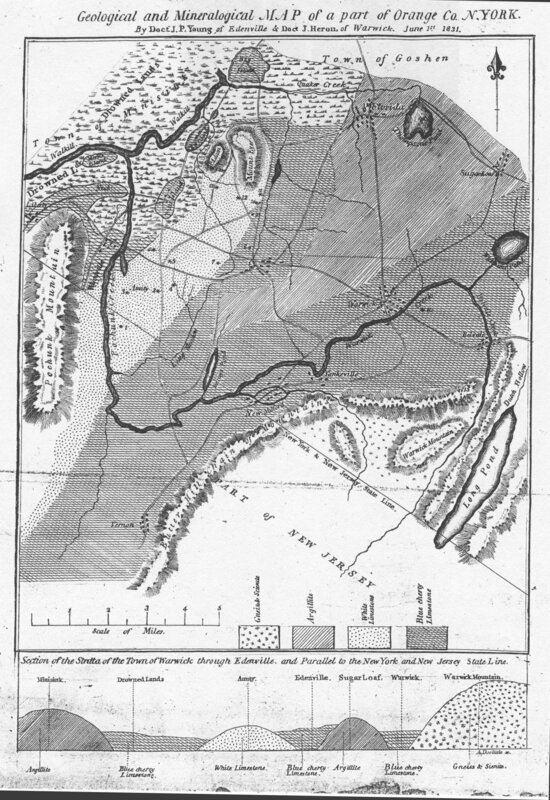 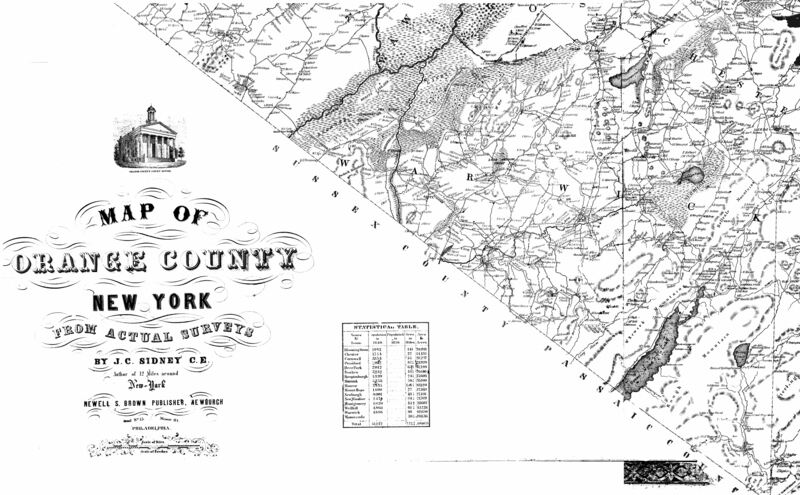 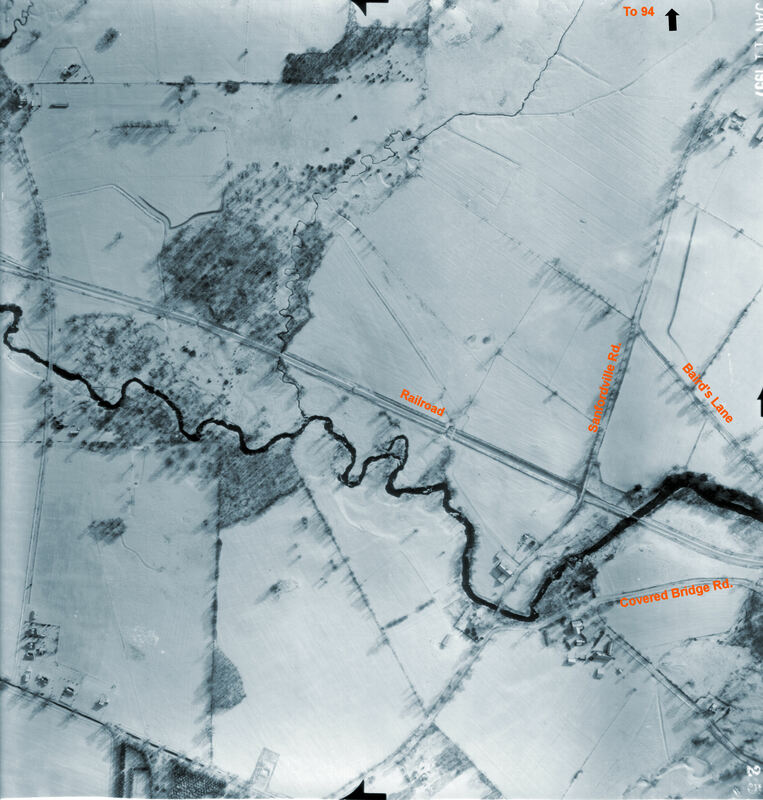 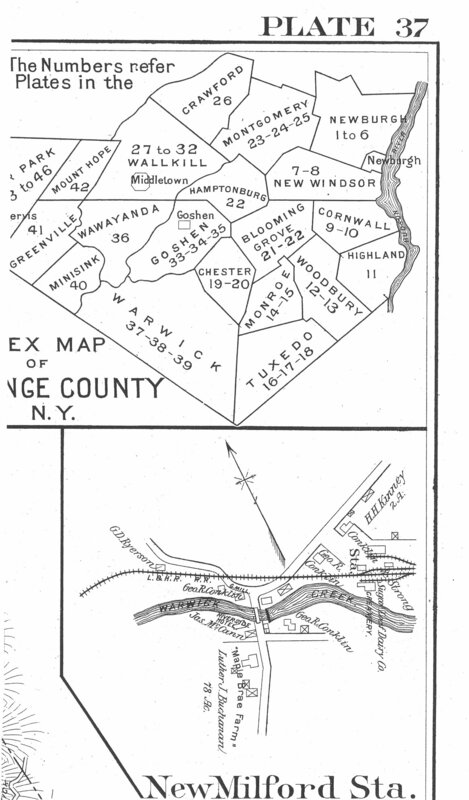 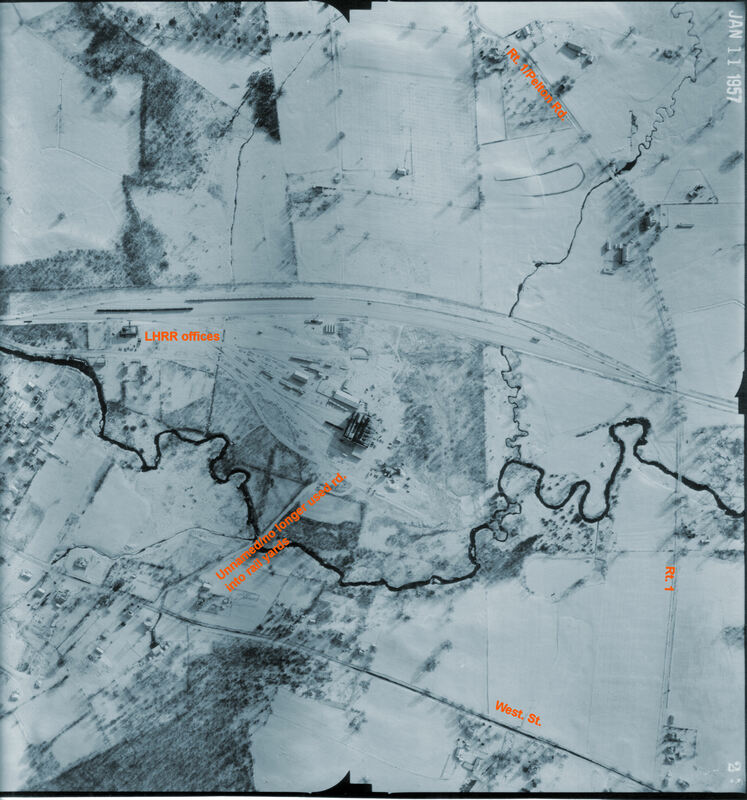 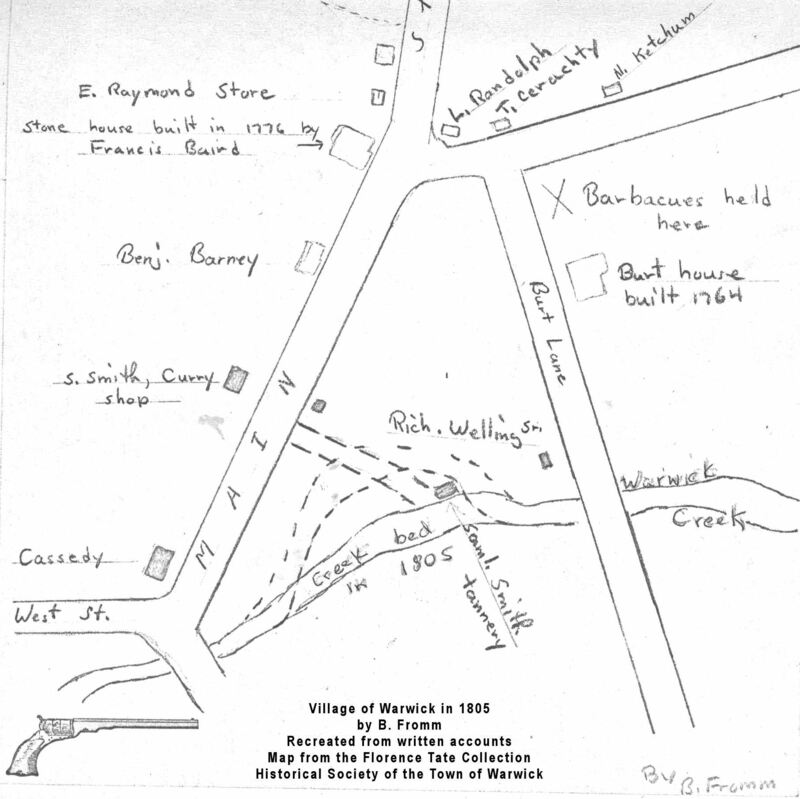 by Dr. James Young and Dr. J. Heron (published as part of a reference work on geology of New York State). 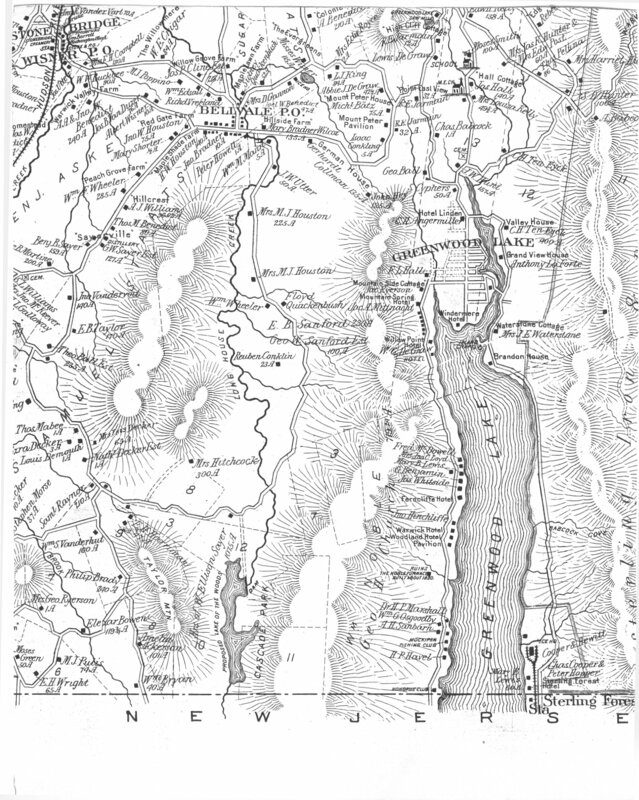 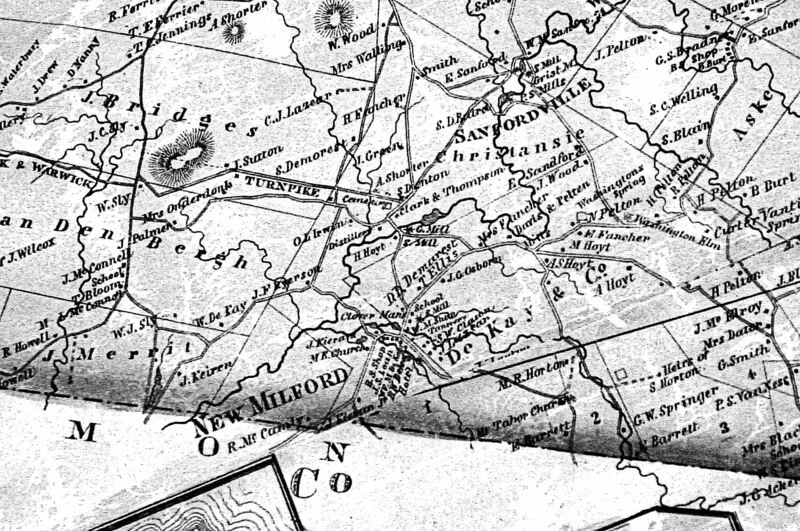 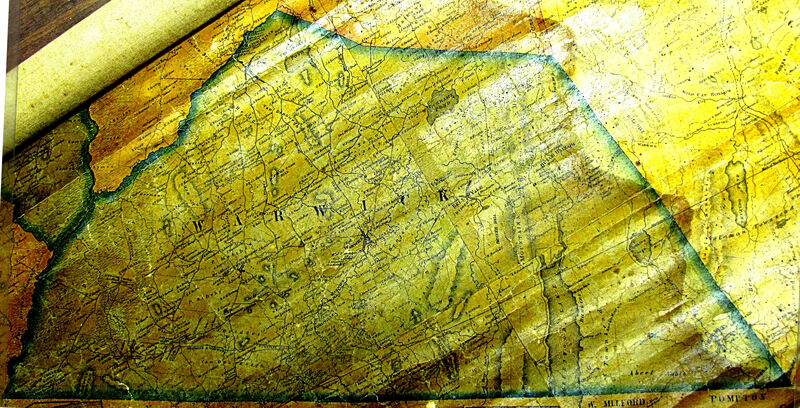 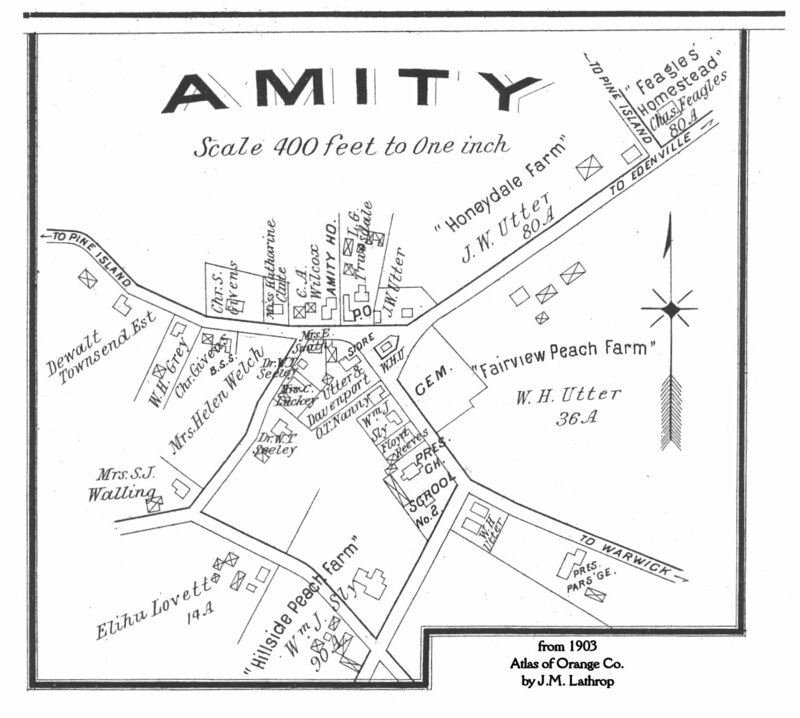 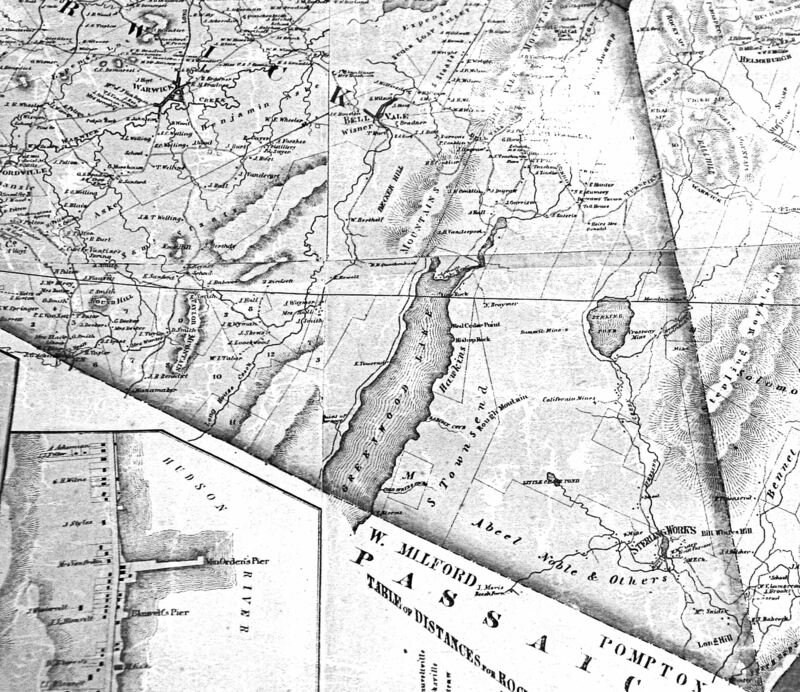 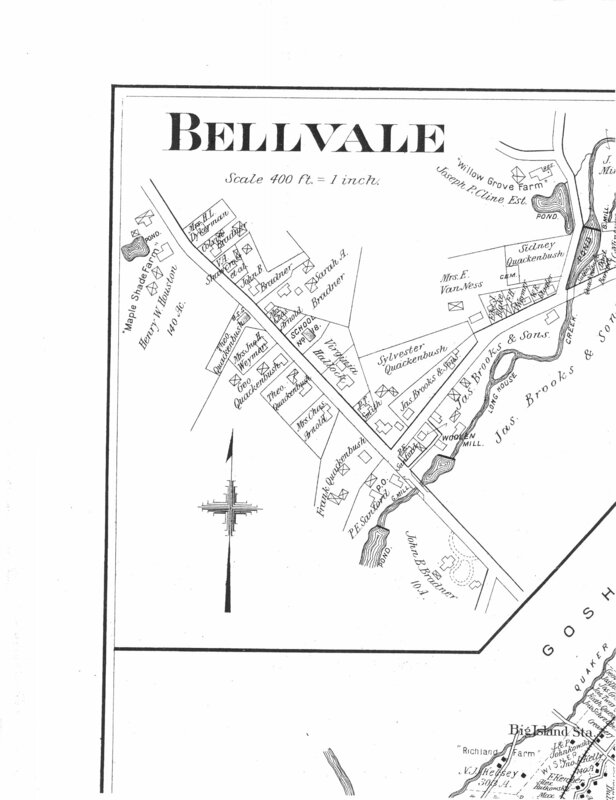 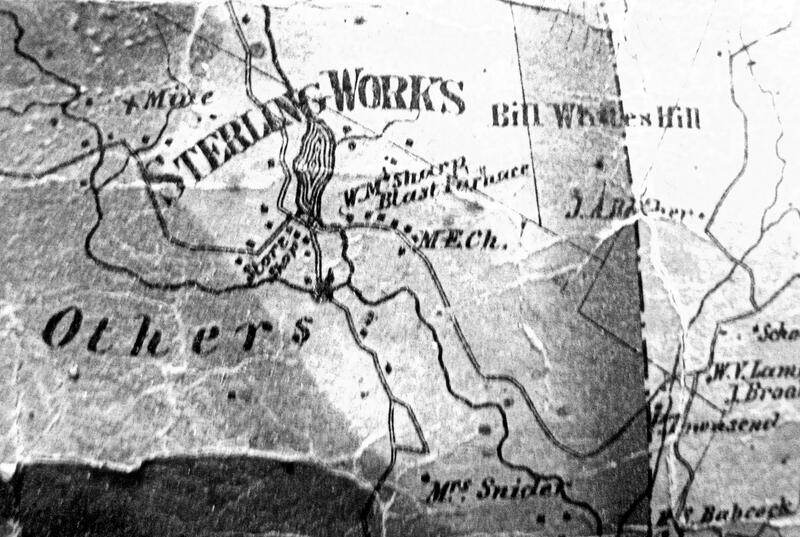 This large map has been split into sections so the text will be legible. 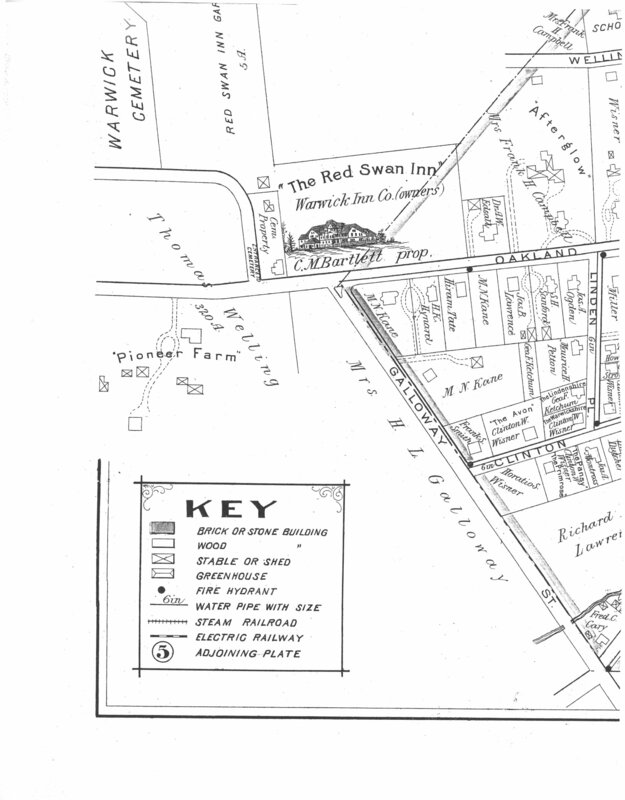 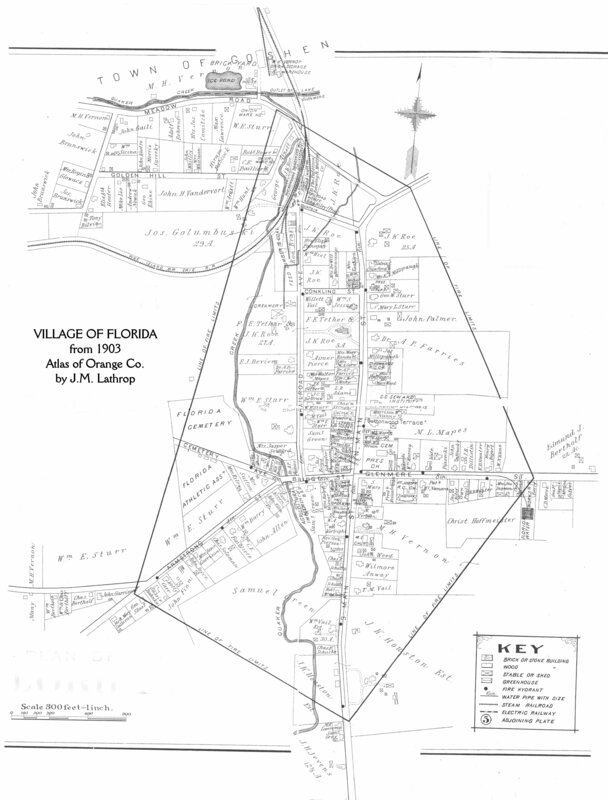 Use the "Key Map" to determine the right section. 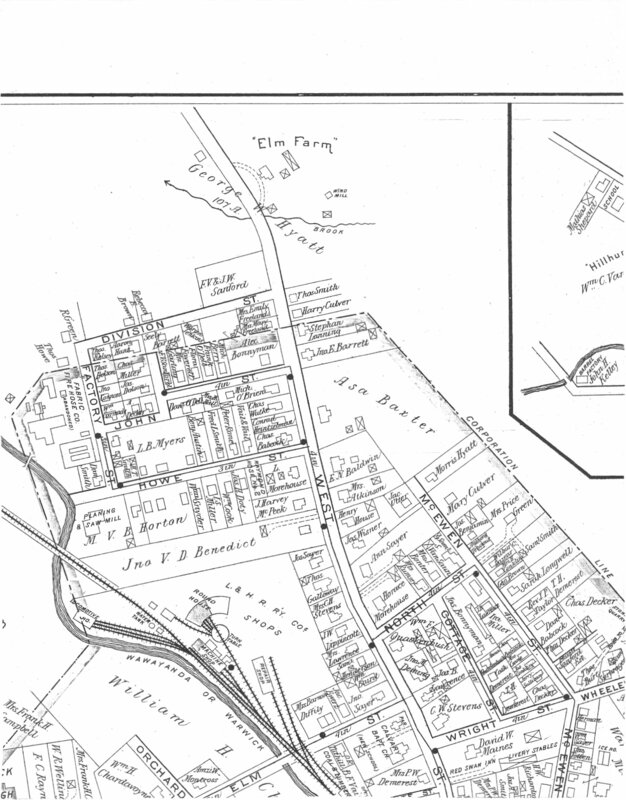 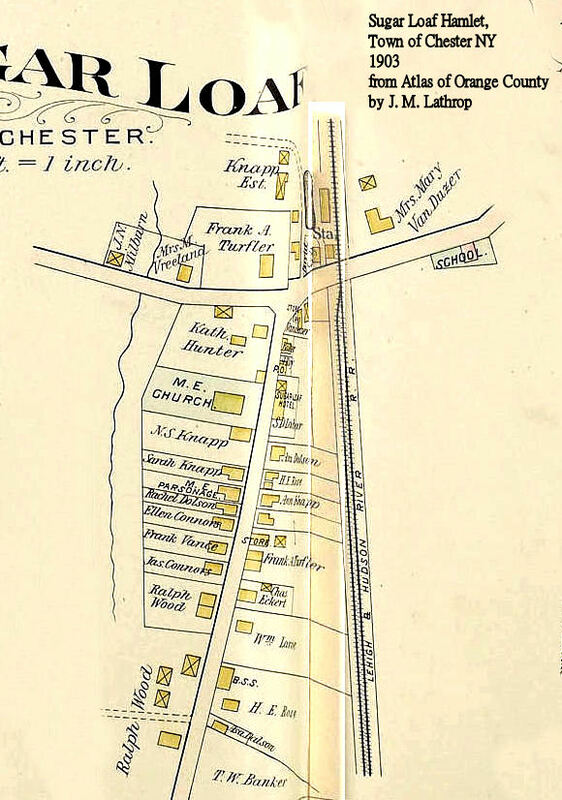 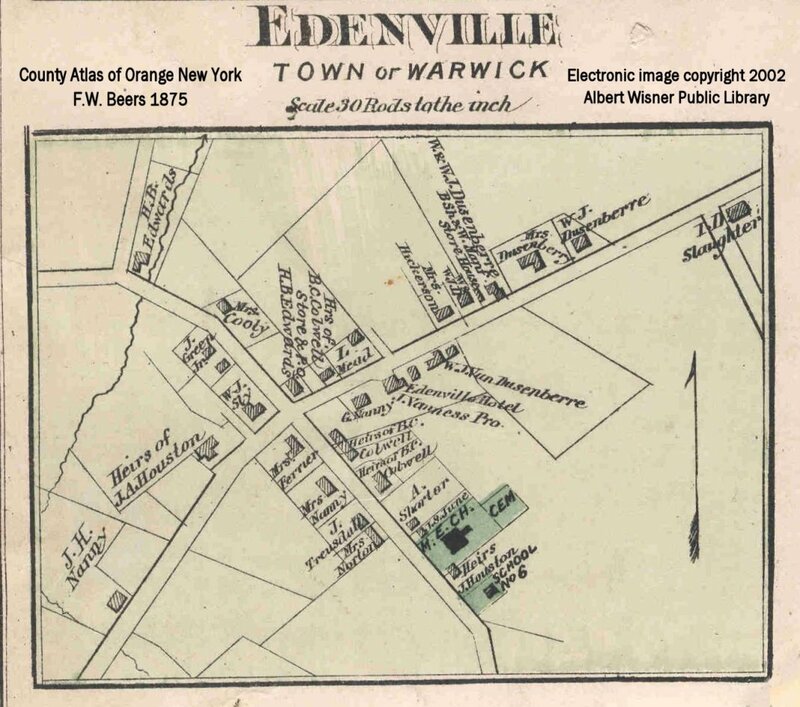 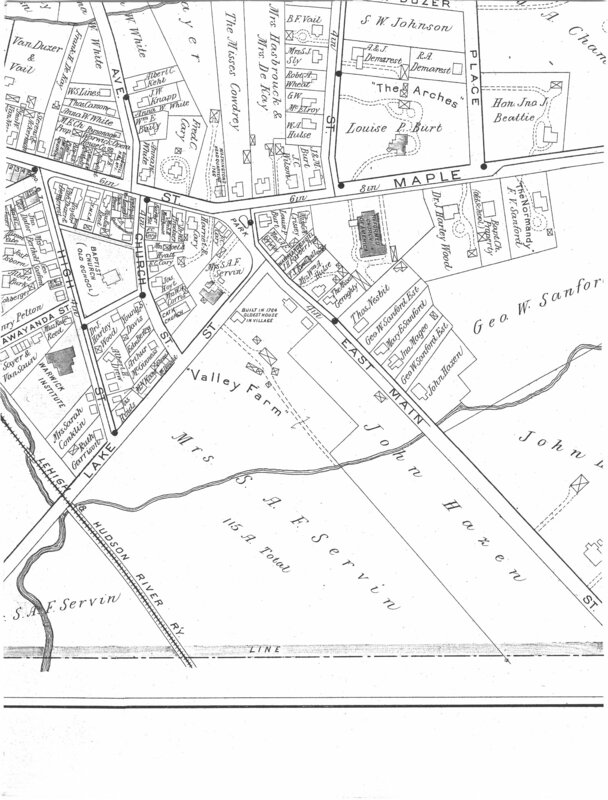 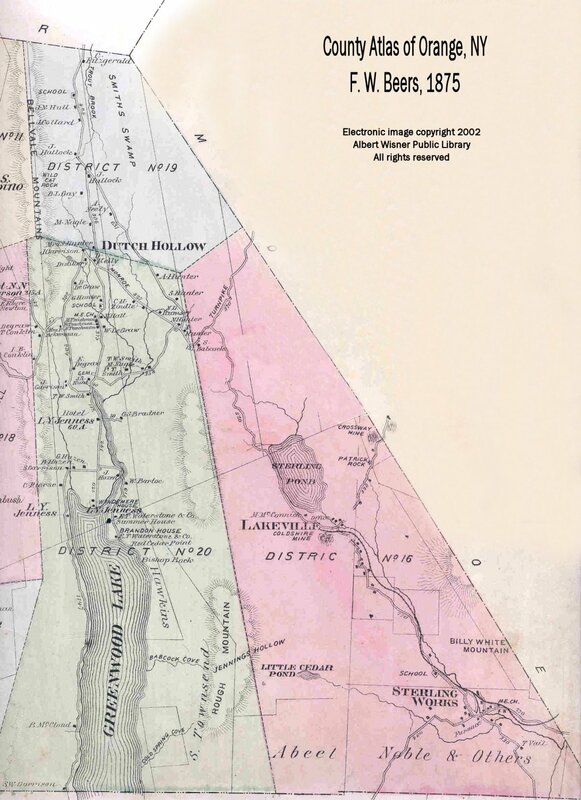 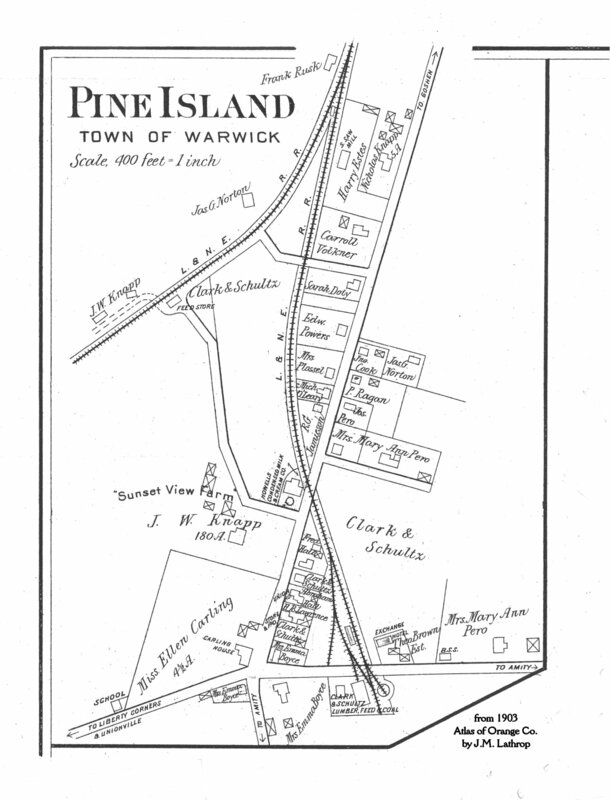 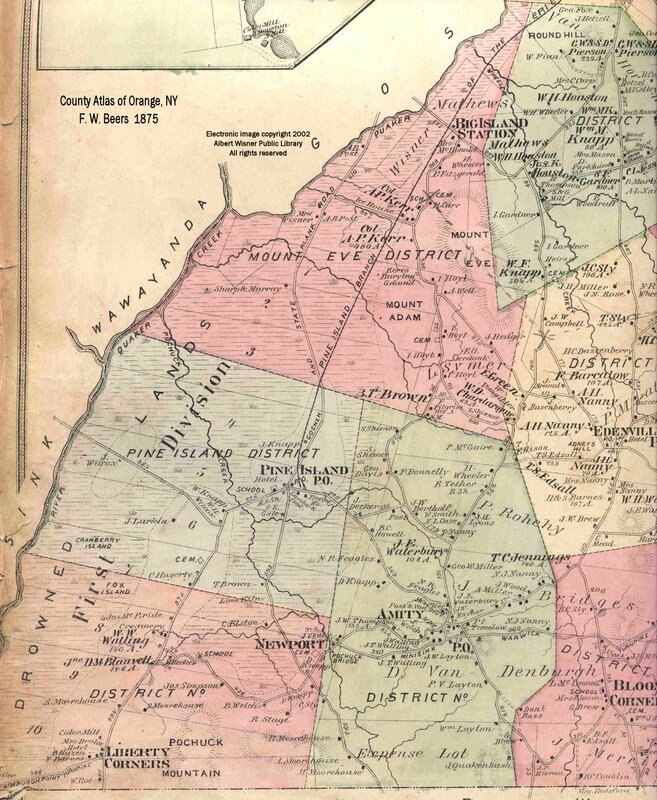 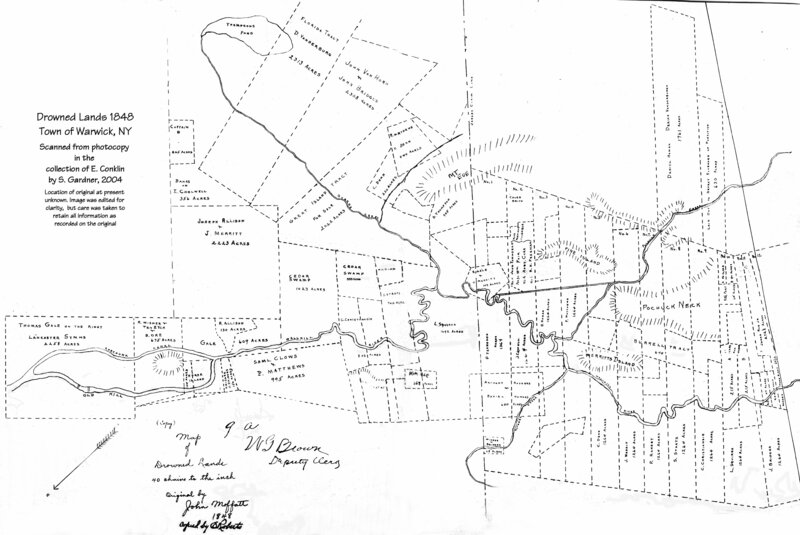 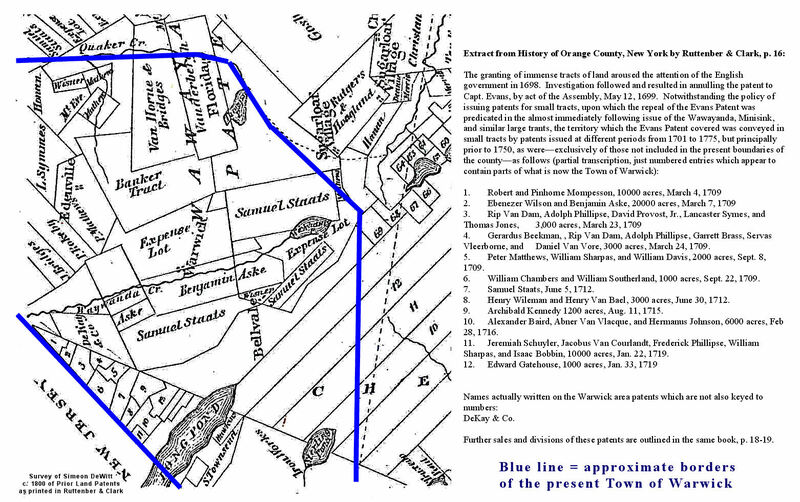 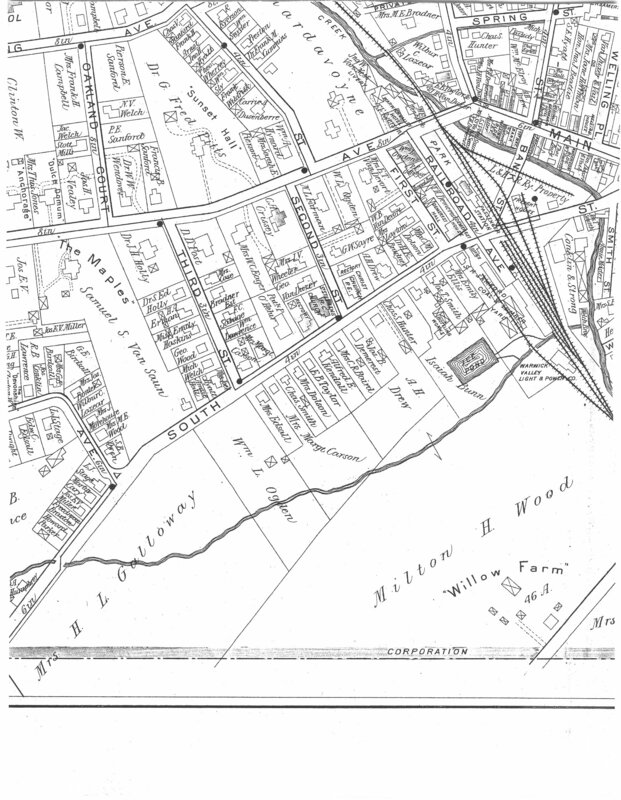 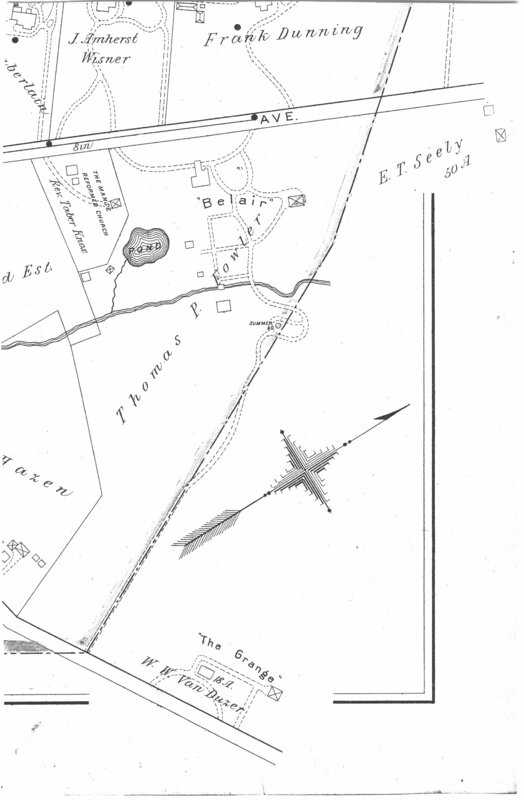 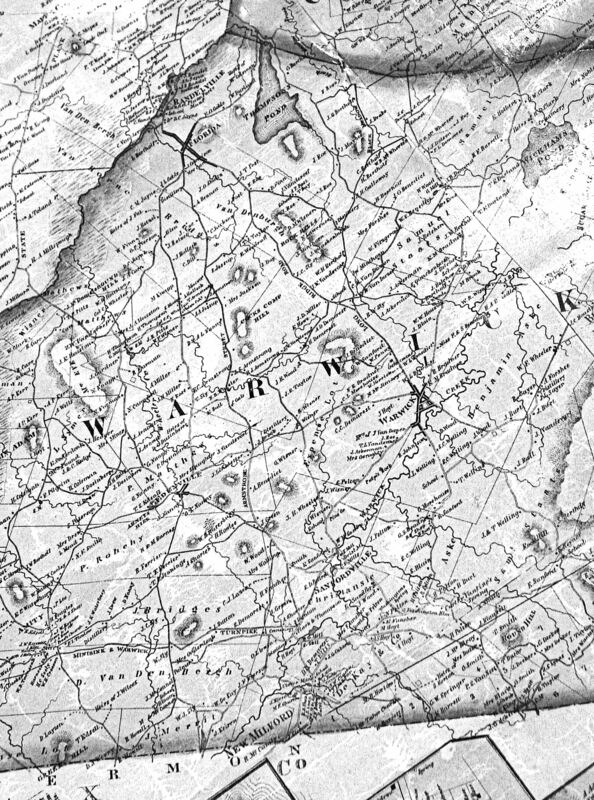 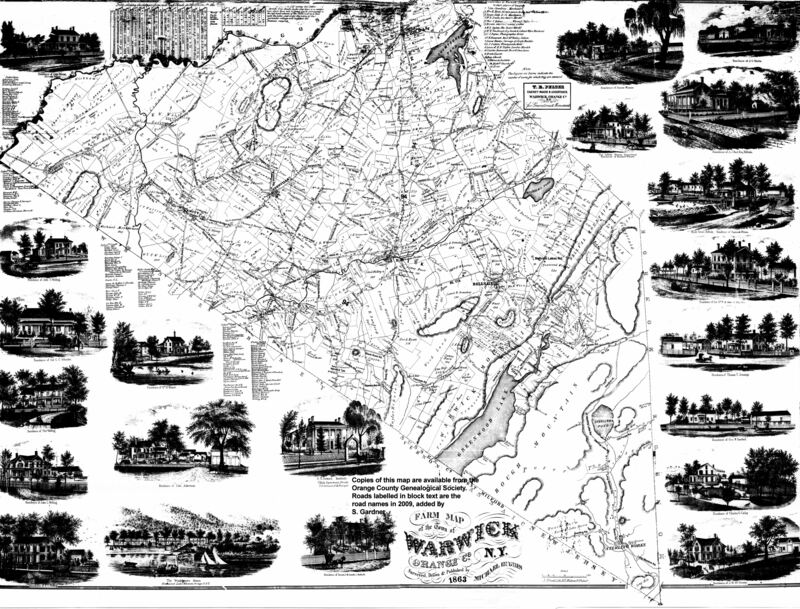 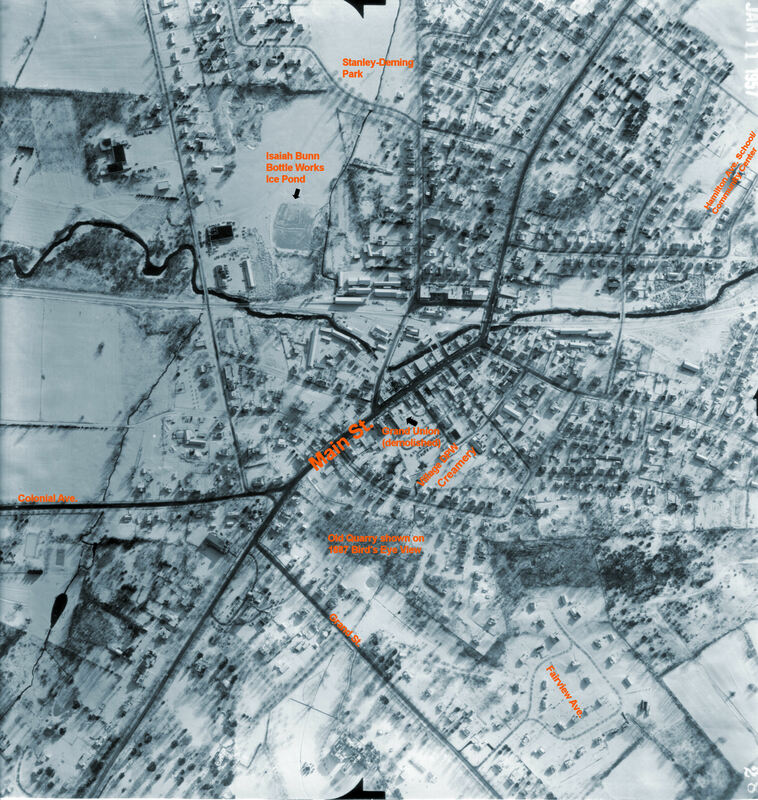 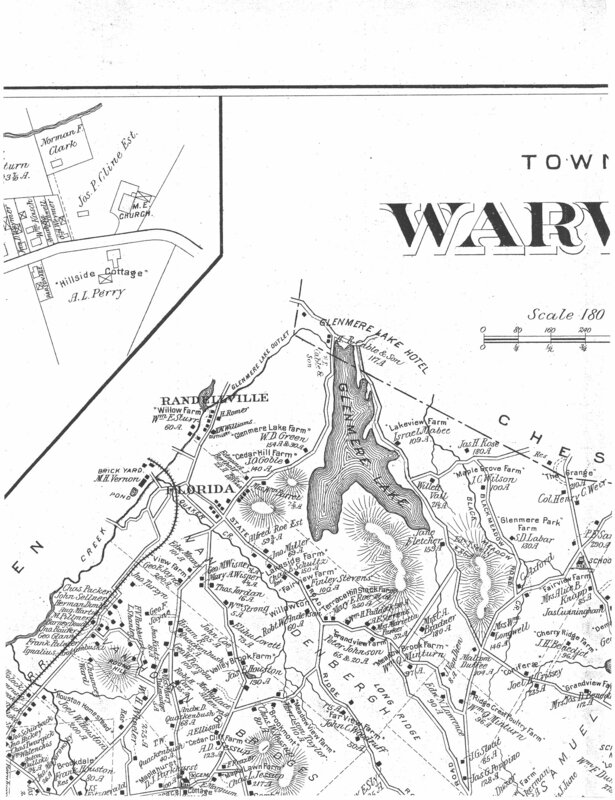 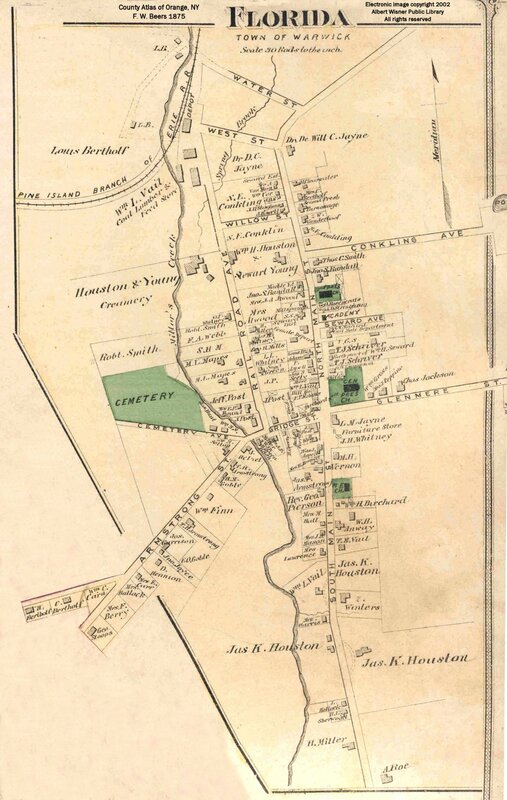 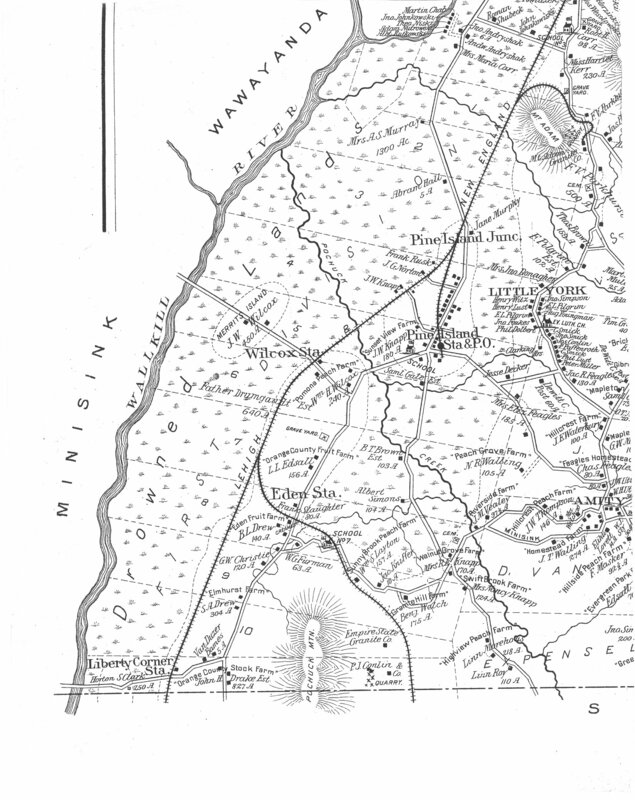 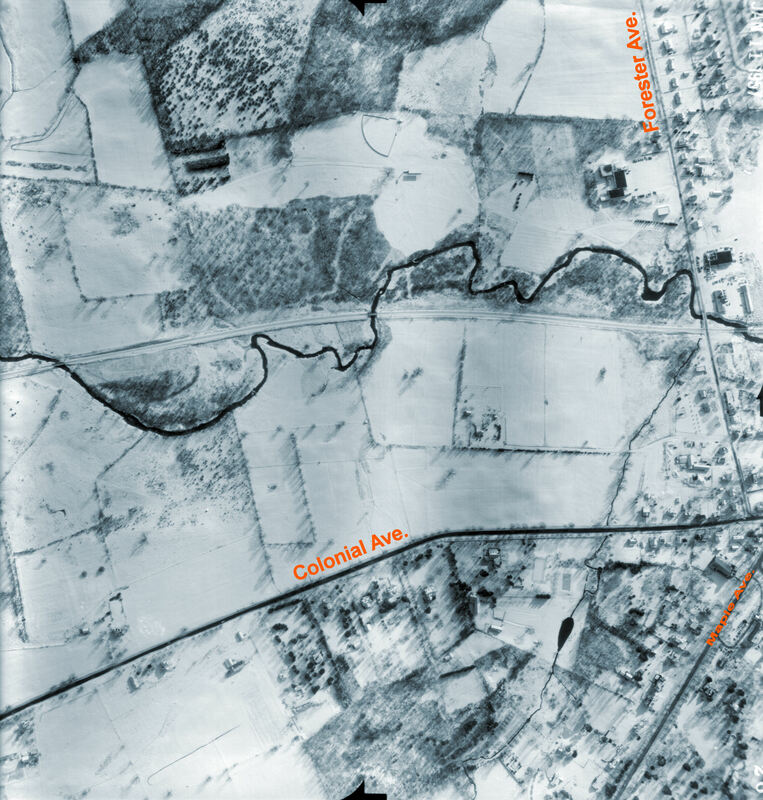 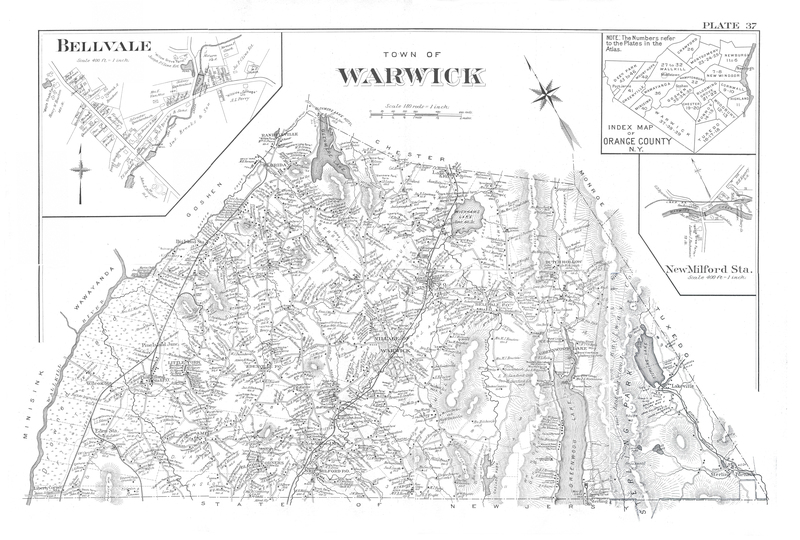 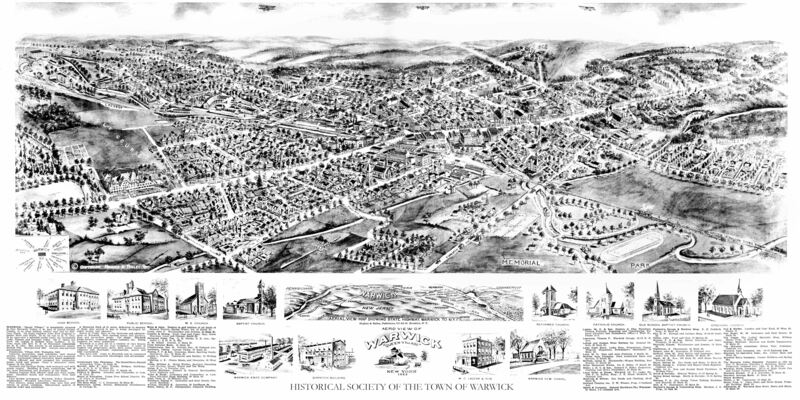 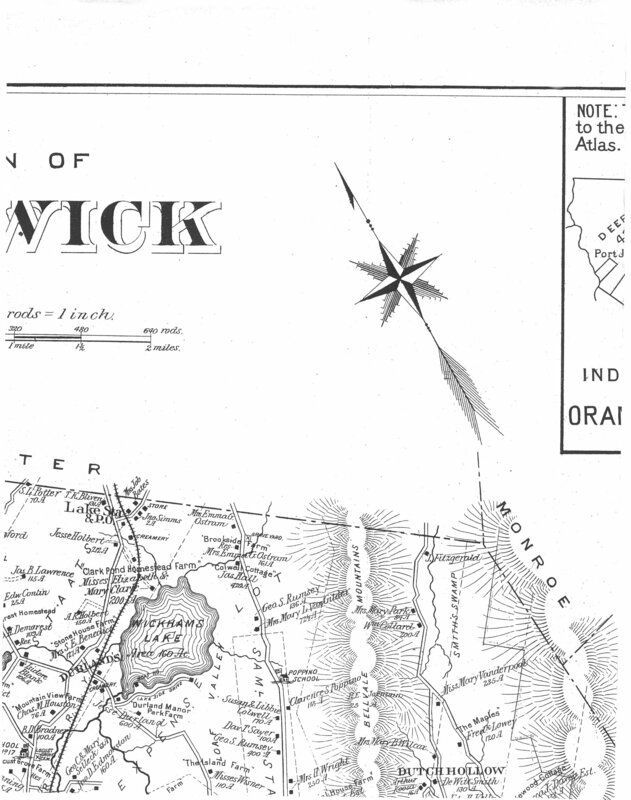 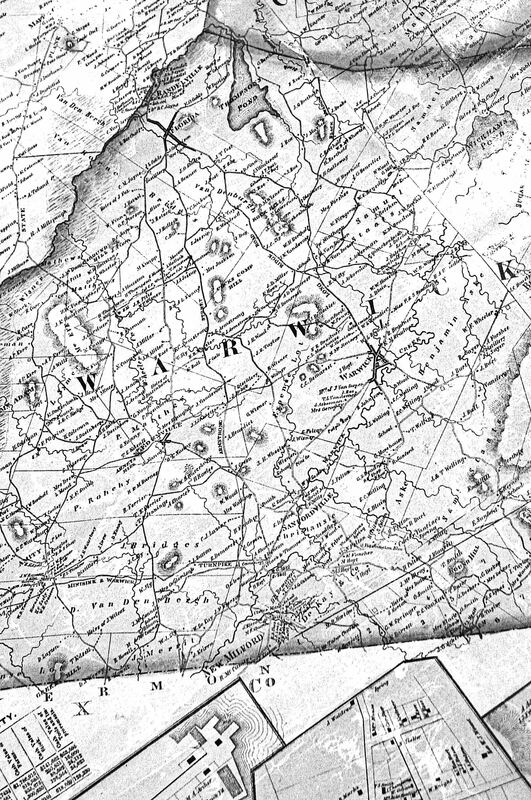 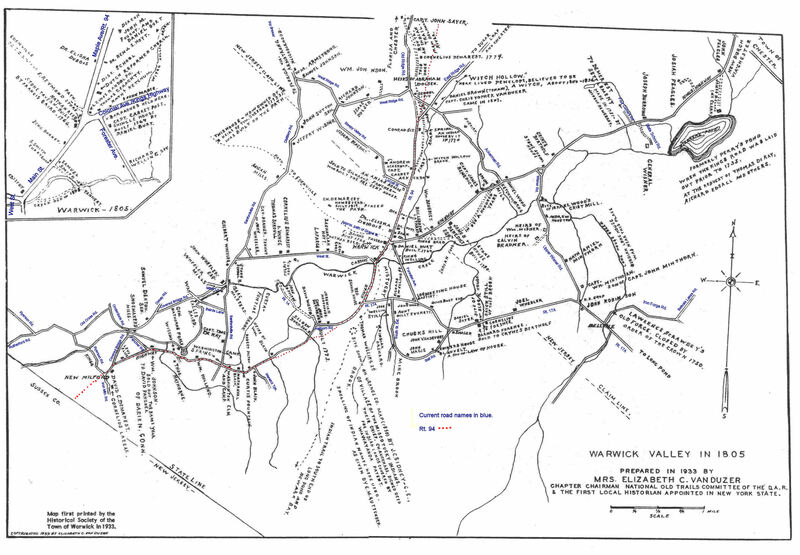 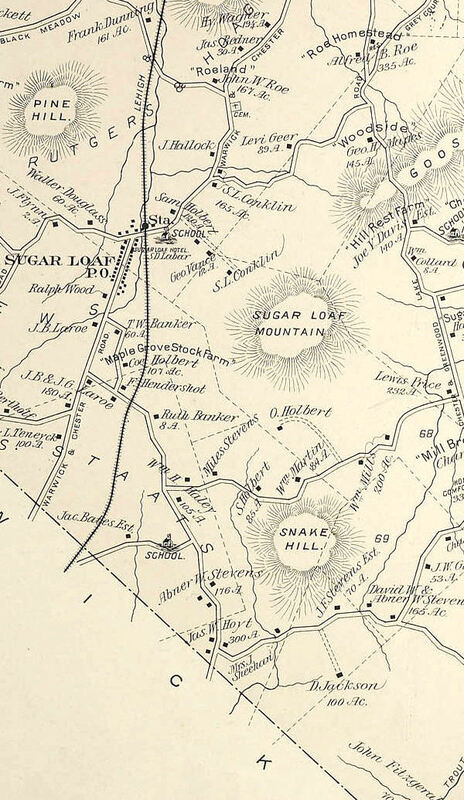 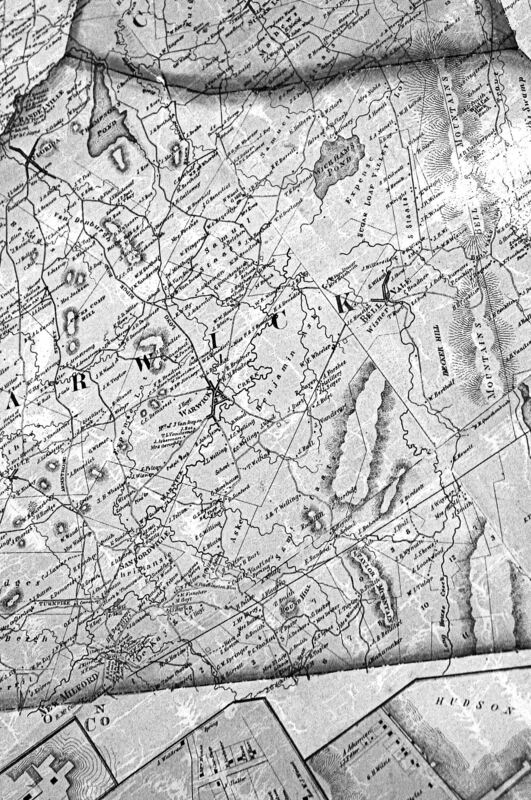 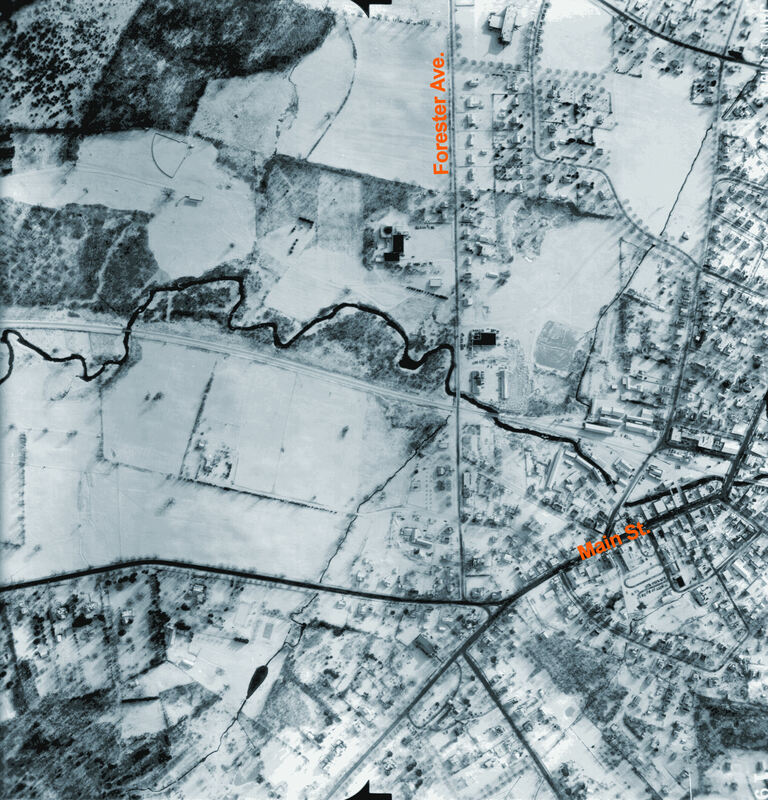 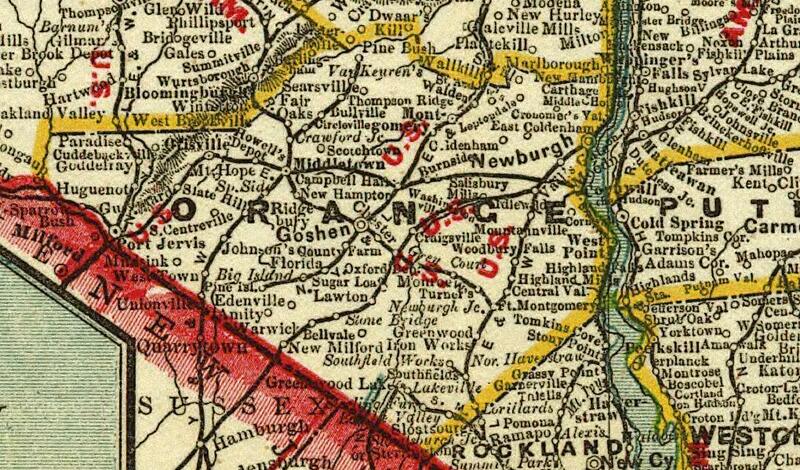 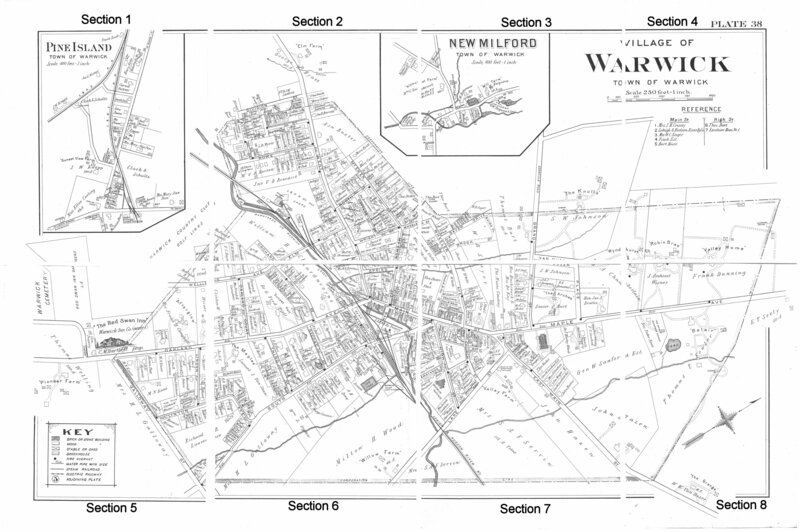 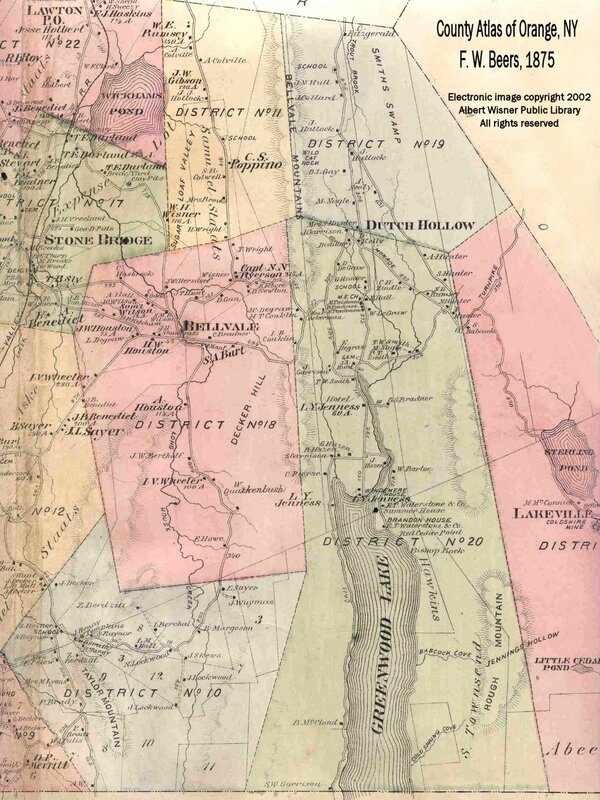 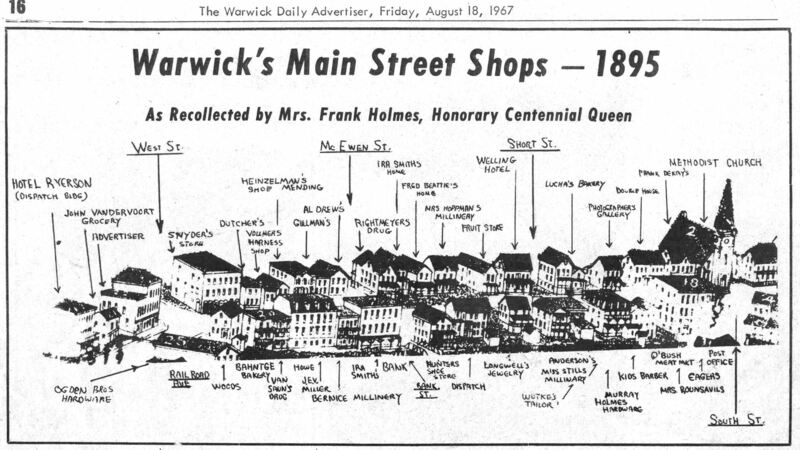 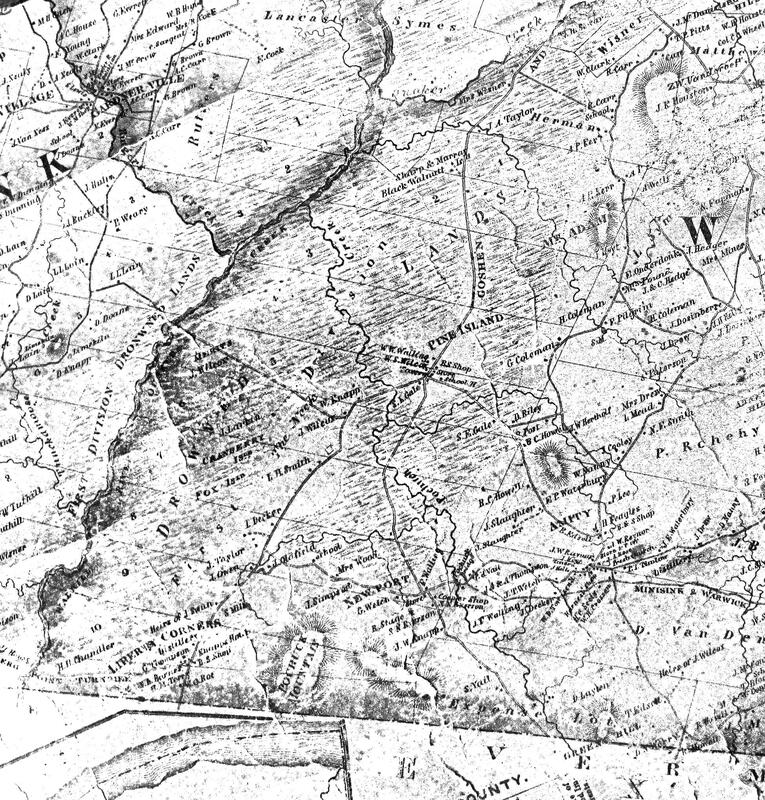 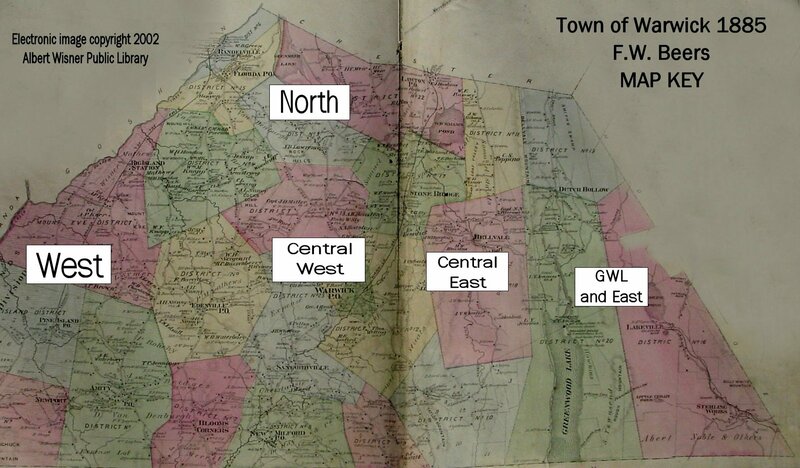 The Town of Warwick is split between the Greenwood Lake & Goshen quadrangles. 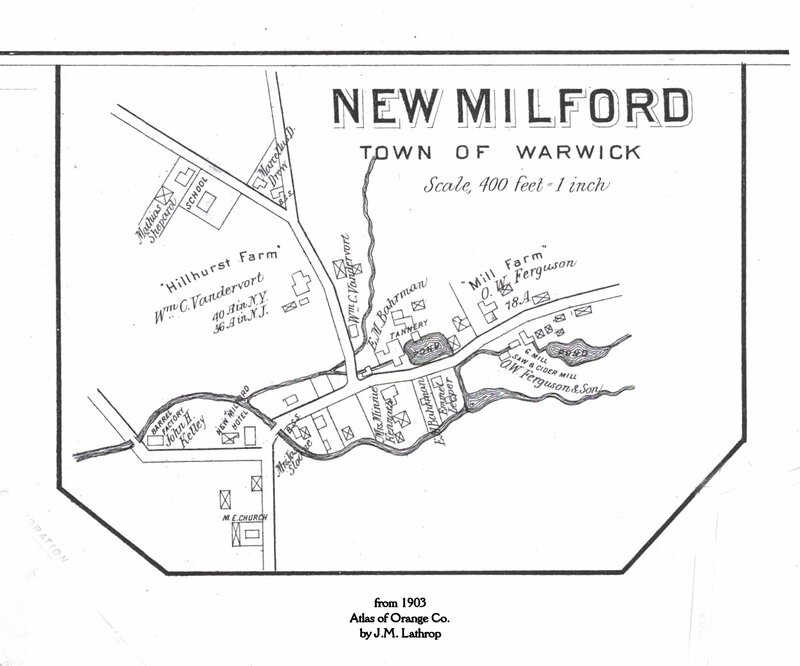 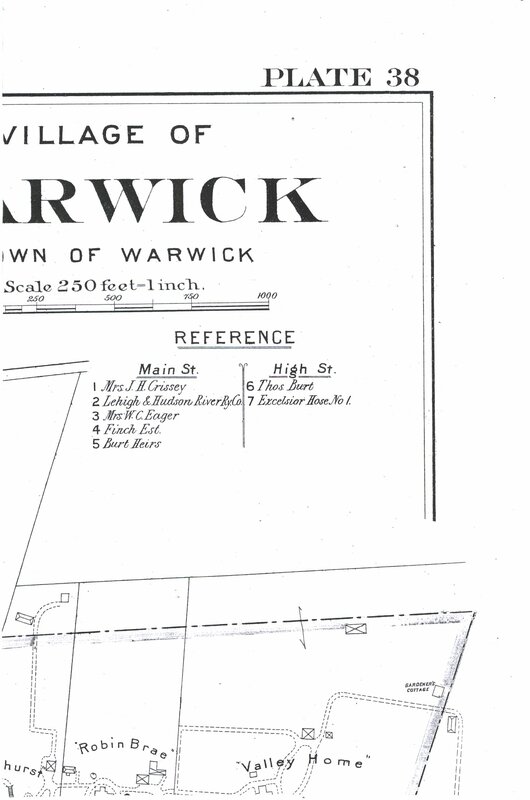 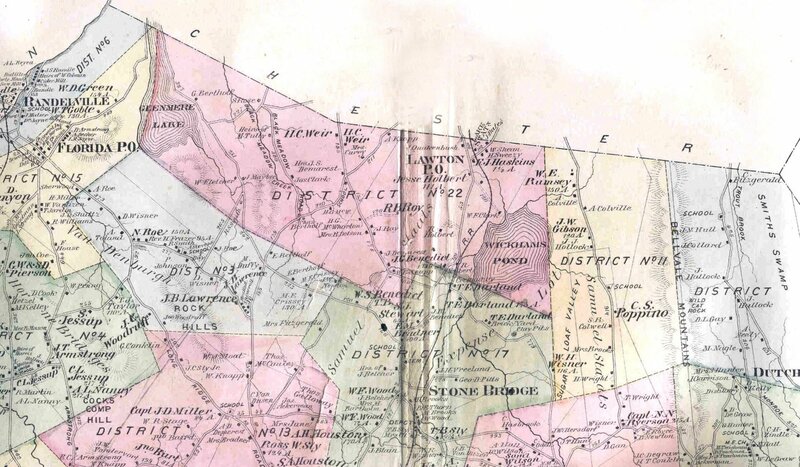 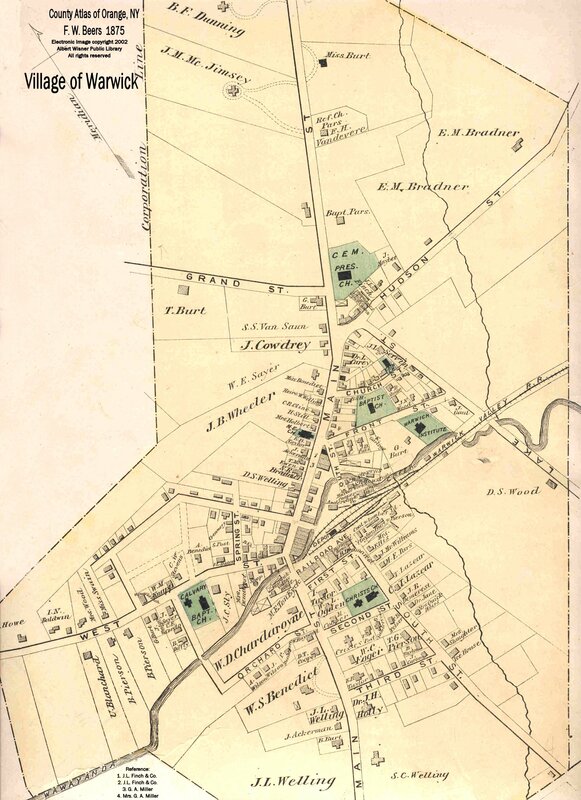 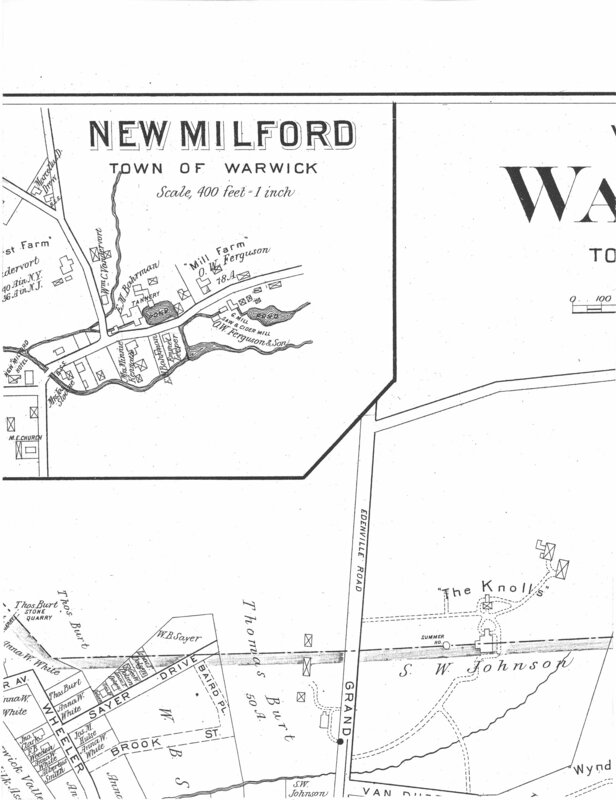 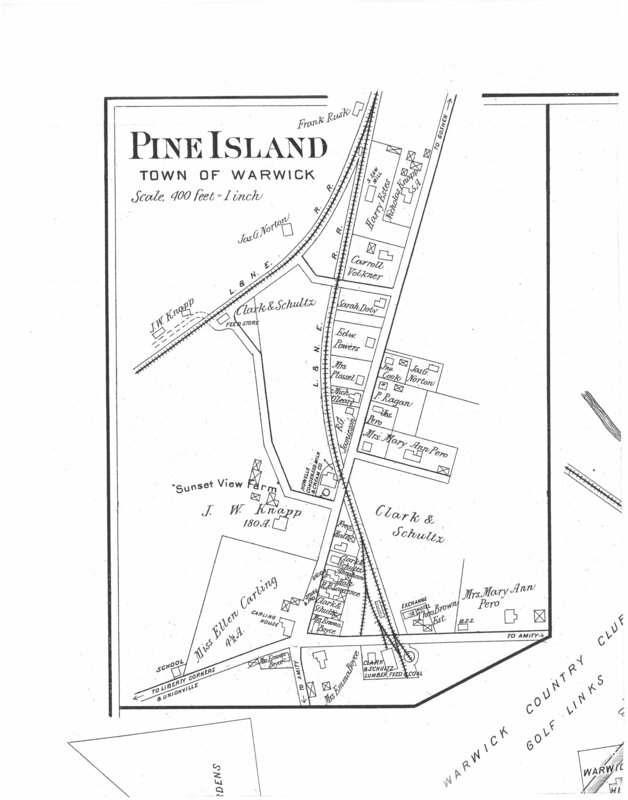 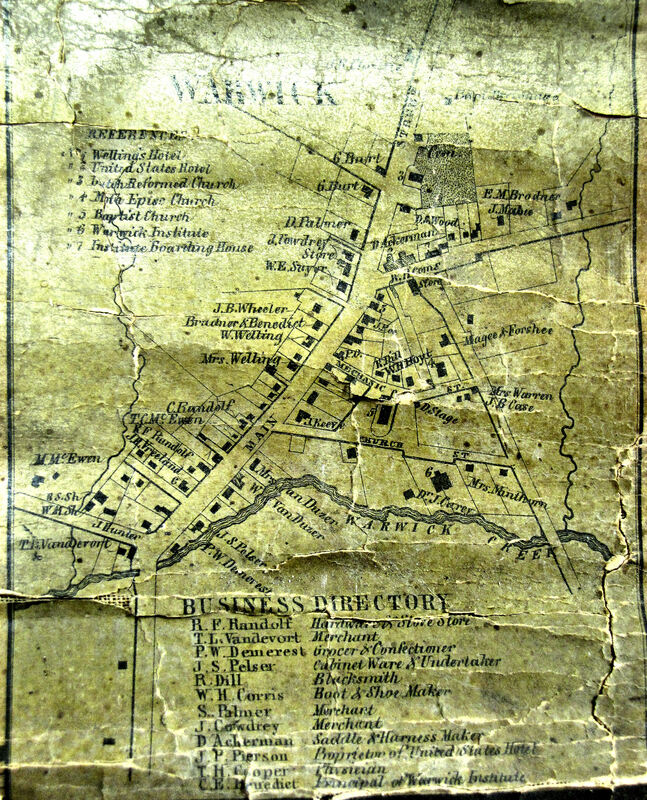 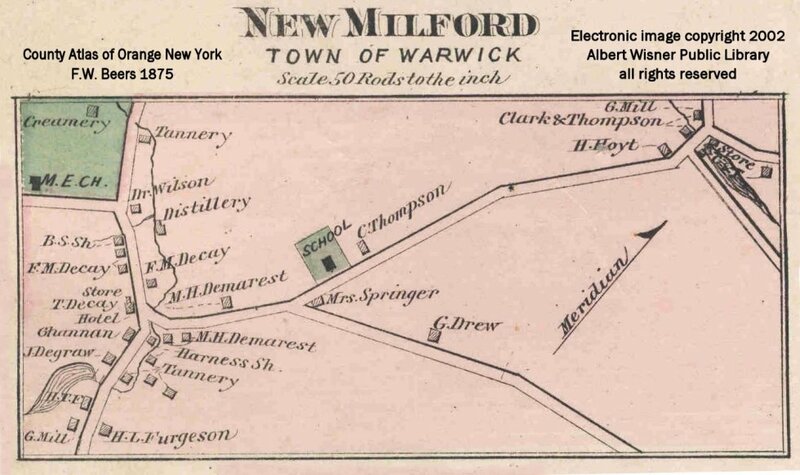 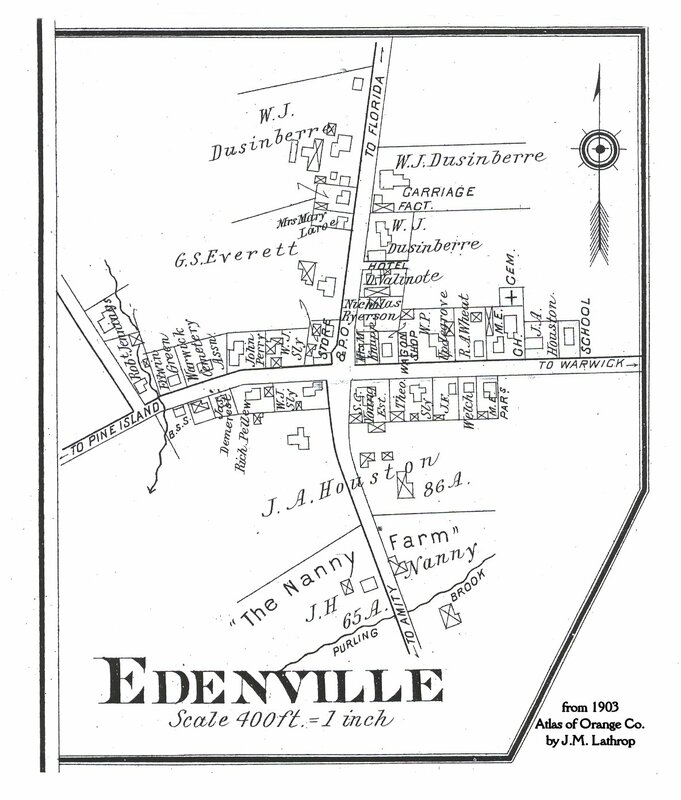 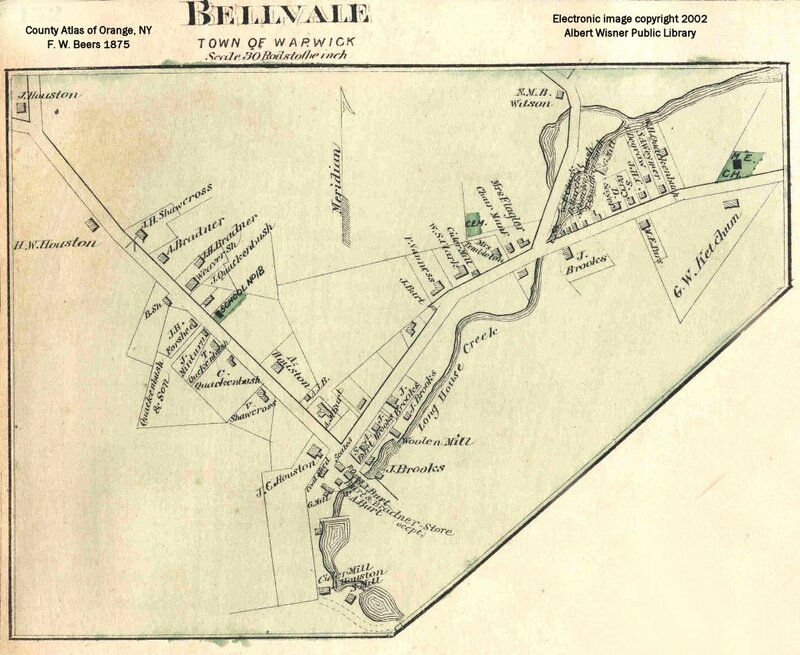 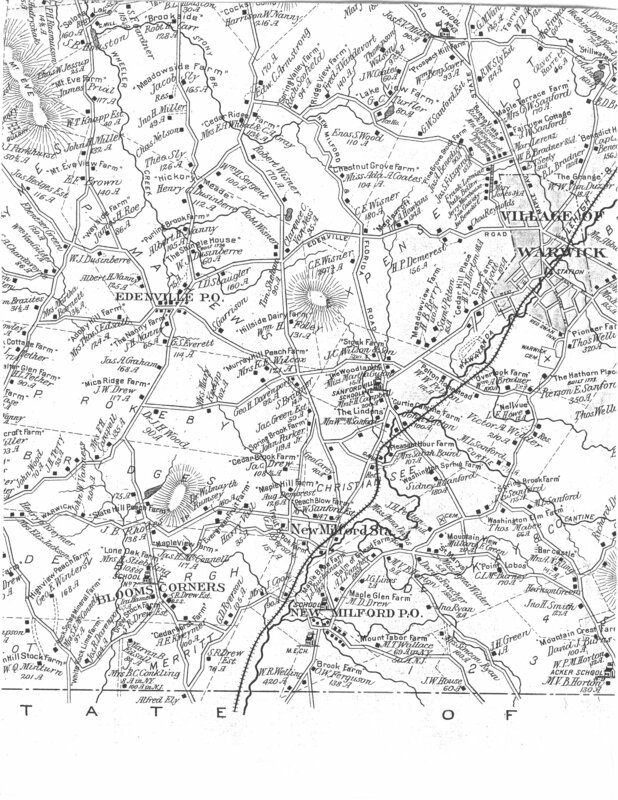 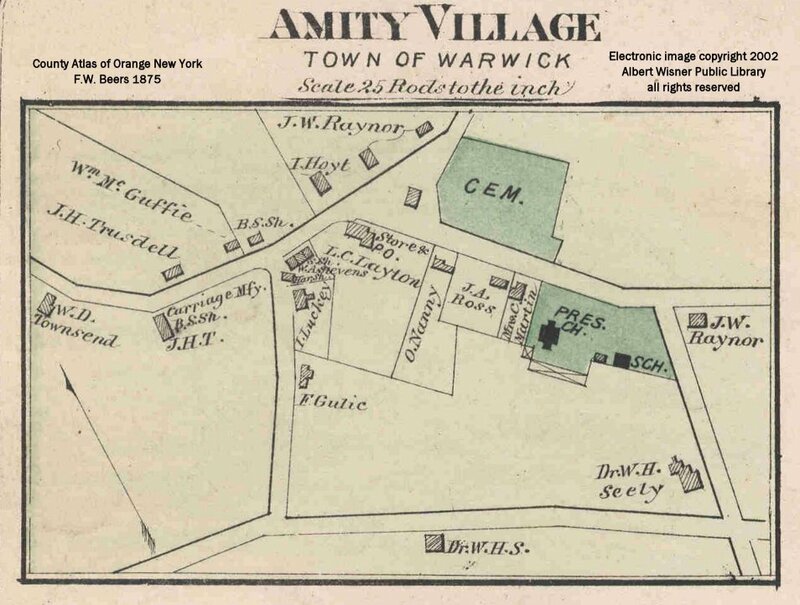 There is a NAME INDEX to the Village of Warwick Map showing which section of the map a name appears in. 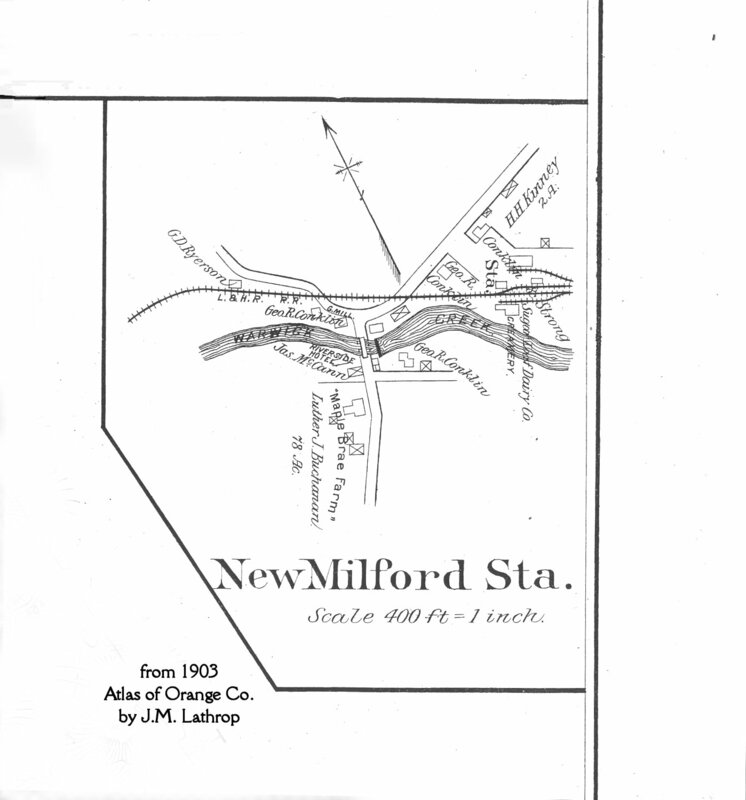 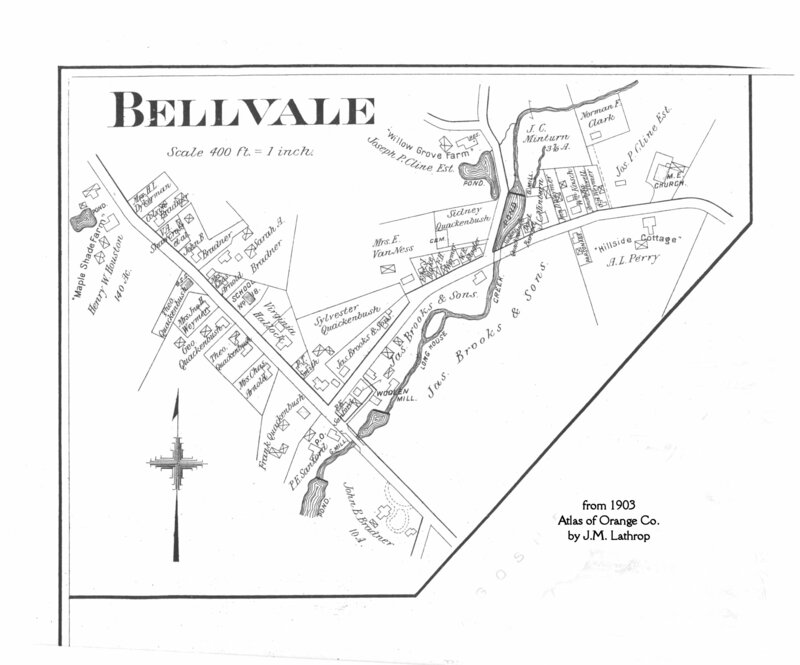 o Pelton Rd./Rt.1 to West St.
o North Village, Colonial Ave.